Google is communicating with small businesses to enlist their support and participation in a test of a pre-paid offers/vouchers program. This initiative is part of an ongoing effort at Google to make new products, such as the recent Offer Ads beta, that connect businesses with customers in new ways. We do not have more details to share at this time, but will keep you posted. Today (01/27/11), Google Offers had a soft launch. Learn the trick to view the Google Offers in your area! The trick is knowing how to find them. 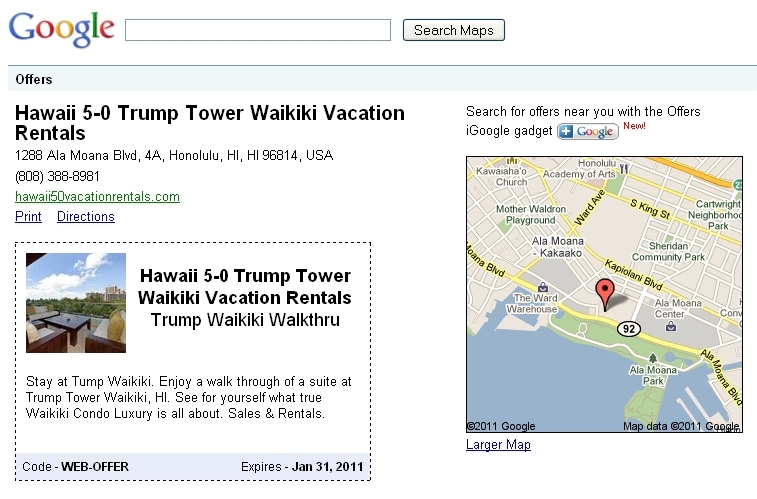 Using the exact search term, “coupons site:maps.google.com intitle:Google Offers” will let you see the coupons, which you can then sort by location. 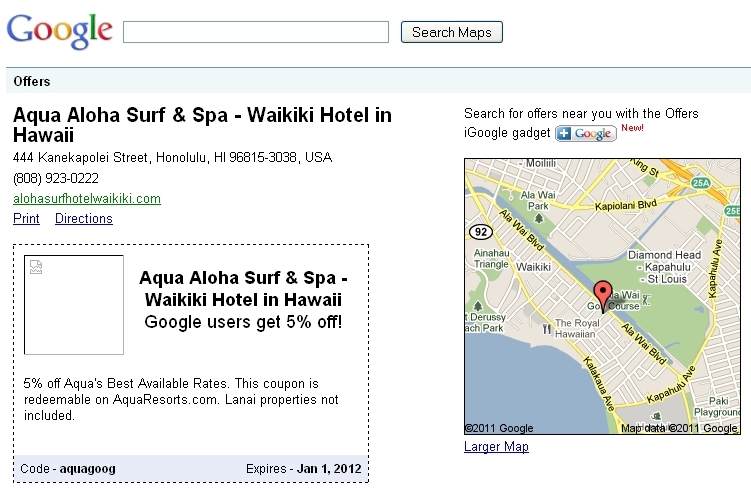 It’s also possible to add a Google Offers widget to iGoogle. 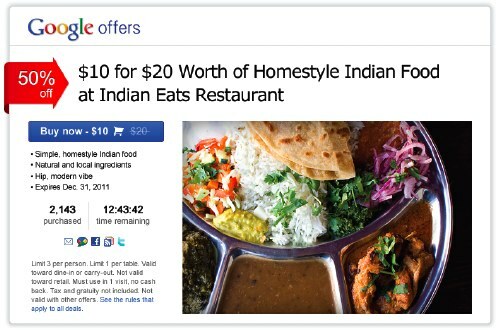 View more Google Offers in your area.